Shooting live pigeons in a confined area isn’t a sport. Most hunters, as well as the Pennsylvania Game Commission, say that pigeon shoots aren’t “fair chase hunting.” The International Olympic Committee banned pigeon shoots after the 1900 Olympics because of its cruelty to animals, and continues to refuse to classify it as a “sport.” At that Olympics, the only time someone could earn a medal for cruelty, 300 birds were killed. While 11,000 athletes from 205 countries continue to excel at the Olympics in London, 75 pretend hunters and faux sportsmen will be at the Wing Pointe club near Hamburg, Pa., this weekend where they will shoot more than 10 times the number of pigeons killed at the 1900 Olympics. Scared and undernourished, the birds are placed into small traps and then released 30 yards in front of people with shotguns. Most birds are hit as they are launched. Even standing only feet from their kill, the shooters aren’t as good as they think they are. About 70 percent of all birds are wounded, according to Heidi Prescott, senior vice-president of the Humane Society of the United States. If the birds are wounded on the killing fields, trapper boys and girls, most in their early teens, some of them younger, grab the birds, wring their necks, snip their heads off with shears, stomp on their bodies, or throw them live into barrels to suffocate. At Wing Pointe, birds are just thrown into a heap, with wounded birds left to die from suffocation. There is no food or commercial value of a pigeon killed at one of the shoots. The lure of pigeon shoots in addition to what the participants must think is a wanton sense of fulfillment is gambling, illegal under Pennsylvania law but not enforced by the Pennsylvania State Police. At Wing Pointe, each shooter pays a $290 entry fee. According to the rules, each shooter “must play $200.00 anywhere.” Pigeon shooters and the public can gamble more than that, with the club taking a percentage of the “official” bets. A high stakes, invitation-only poker game adds to the opportunity to lose more than a month’s house mortgage. The failure to ban pigeon shoots leaves Pennsylvania as the only state where pretend hunters, most of them from New Jersey and surrounding states where pigeon shoots are illegal, can openly shoot pigeons which have just been released from the traps. The NRA claims pigeon shoots are legal in 35 states; however, because those states enforce animal cruelty laws, Pennsylvania is one of the only states that has openly held pigeon shoots. Pigeon shoots are held in southeastern Pennsylvania in Berks County at Wing Pointe, after the Strausstown Gun Club and the Pikeville Gun Club discontinued them; in Bucks County at the Philadelphia Gun Club, Bensalem; in Dauphin County at the Erdman Shoot; and in Northumberland County at a relatively unorganized Berm Gun Club, near Dalmatia. 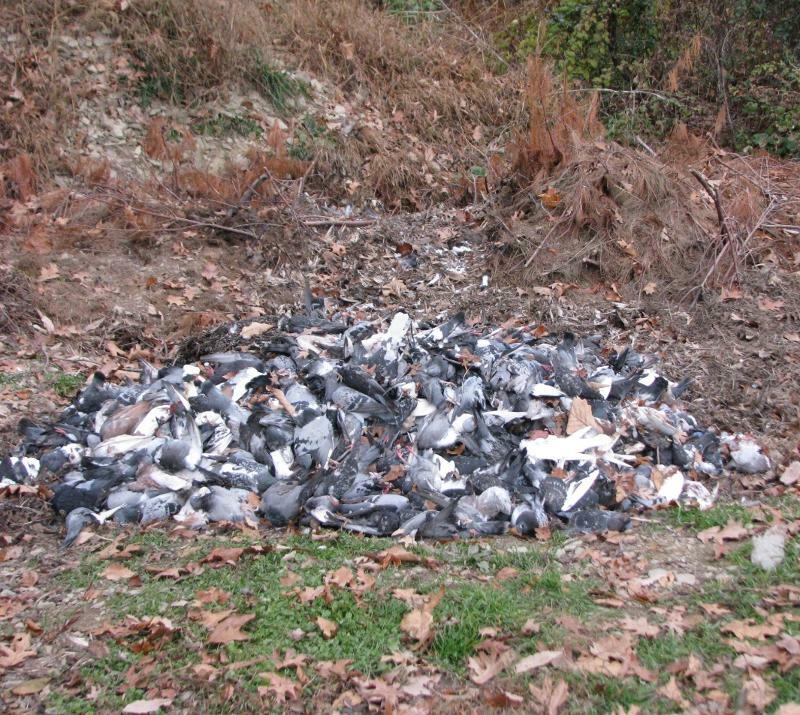 The notorious Hegins Pigeon Shoot, in which more than 5,000 birds were killed or injured every Labor Day weekend, was finally cancelled in 1999 after the state Supreme Court ruled that humane society police officers could arrest participants for committing acts of animal cruelty. District Attorneys John Adams (Berks) and David Heckler (Bucks) have both refused to prosecute persons accused of cruelty by a Humane Society police officer. Johnna Seeton has filed charges of cruelty to animals in both counties and in all cases the DAs withdrew her charges. 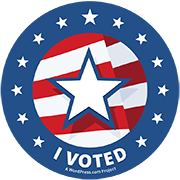 Amandamus case is pending against Adams to require him to comply with the law; in 2010, Adams took $500 in campaign donations from the NRA Political Victory Fund. An ethics complaint has been filed against Heckler. Almost every daily newspaper in the state and dozens of organizations, from the Council of Churches to the Pennsylvania Bar Association, oppose this form of animal cruelty. But Pennsylvania legislators refuse to ban pigeon shoots, fearful of losing NRA campaign funds, the coveted A+ rating, and what could be a vicious attack upon their re-election bids. Even a grade of “B” by the NRA causes some legislators to cower in fear. The unrelenting NRA message irrationally claims that banning pigeon shoots is the first step to banning guns and, thus, destroying the 2nd Amendment. To those scared by fear-mongers in the NRA and the Pennsylvania Flyers, that was bred solely to support pigeon shoots, the Humane Society—which the NRA calls “radical” and “extremist,” and the Flyers calls “animalist zealots”—carefully explains that absolutely nothing in proposed bills or amendments restricts firearms ownership or usage. However, a paranoid NRA leadership claims banning pigeon shoots would be the “slippery slope” to gun restrictions. Pennsylvania allows lobbyists to call legislators off the floor to discuss legislation. NRA lobbyists and their PACs have been vigorous in “explaining” the consequences of a legislator who opposes the NRA philosophy—and in backing it up with campaign contributions. During the 2010 election year, the NRA Political Victory Fund donated $4,500 in direct contributions and $389,696.85 in in-kind contributions to Republican Tom Corbett, who would be elected governor. But the NRA and its allies are now on the defensive, after taking hits by the public for their unyielding stand in support of the right of owning assault weapons with 100-round magazines, for which no hunter or target shooter has any need. Somehow, in a collective mind with scrambled brain cells, the NRA leadership is unable to distinguish between legitimate hunting and animal cruelty. In Pennsylvania, the NRA is making a stand. Associating with just about the friendliest state for what it claims is “gun rights,” the NRA has dug in; it knows that if the state bans pigeon shoots, NRA influence will diminish. And so, it continues to pump out fear-mongering press releases, lobbies hard, and freely spreads what is known as the “mother’s milk of politics,” all to a group of legislators too afraid to oppose what they think is NRA strength. This week, we see two conflicting scenes. There are no cowards in the Olympics. But there sure are enough in Wing Pointe and the Pennsylvania legislature. Please contact your legislators and ask them to support the ban on live pigeon shoots.